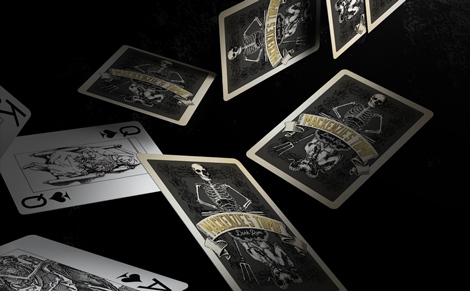 Legend has it William Mackenzie lost his soul to the devil in a game of poker. 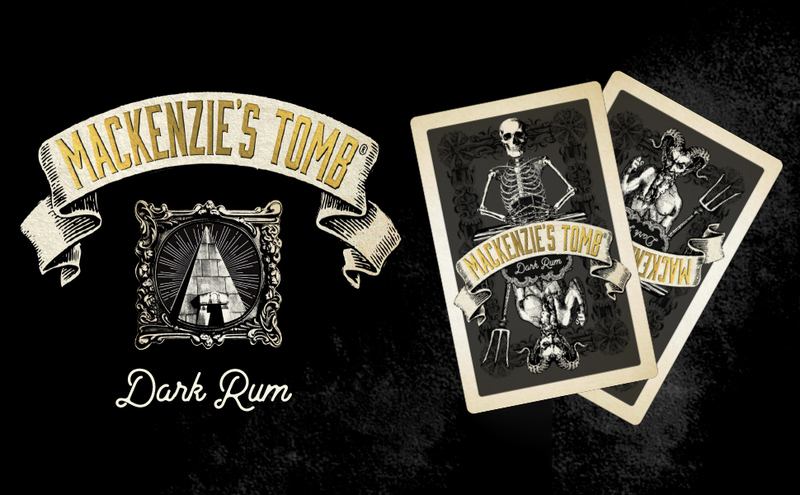 When he died Mackenzie was seated upright inside a pyramid shaped tomb at table with a winning hand of cards. His body was never comitted to the earth so satan could never claim his prize. 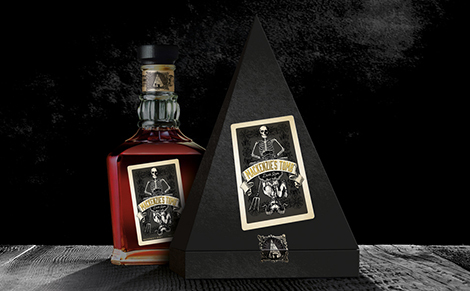 I’ve always loved the tale of the William Mackenzie Tomb in Liverpool so I created a rum brand and packaging concept based on the local legend.